Funny Or Die, one of the internetweb’s leading humour websites, can be pretty hit and miss. This video is hit. 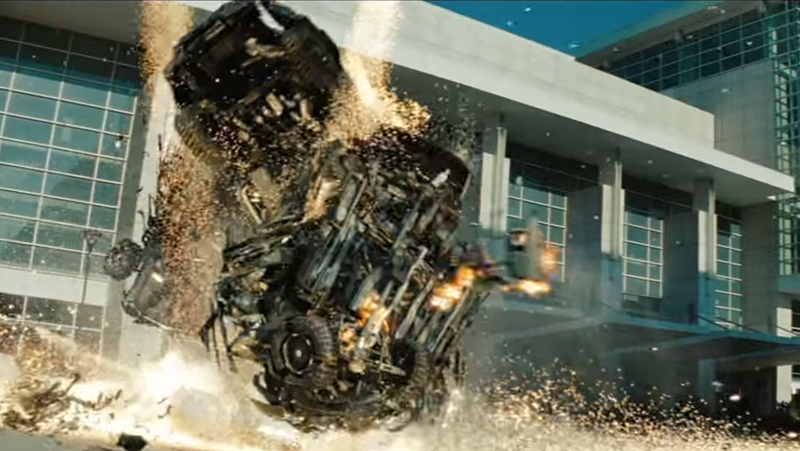 It’s pretty self-explanatory – clips of classic films have been intercut with destruction from Michael Bay’s atrocious Transformers series. Like the gag in The Simpsons when Sideshow Bob steps on a whole bunch of rakes, which hit him in the face, sometimes repetition of something sort of funny can result in more laughing. We think either Whiplash or Jerry Maguire are our favourites.